Acting Executive Director Carmen R. Zubiaga recently participated in the “CY 2014 Mid-Year National Management Development Conference” held in Zubic Bay Travellers Hotel in Olongapo City. It was conducted by the Department of Social Welfare and Development where the National Council on Disability Affairs is an attached agency. Director Zubiaga highlighted the Council’s accomplishments for the 1st semester 2014. These include the strengthening/organizing of Provincial Councils/Committees and related disability structures in disability compliance and as catalysts in organizing municipal/barangay councils on disability affairs; and conduct of consultation, training and capacitating Disabled People’s Organizations and Civil Society Organizations in advocacy and promotion of disability laws and programs from all regions. Policies at the local and national levels were also formulated in support on national programs and policies; and national key documents such as on Disability Inclusive Disaster Risk Reduction and Management and Guidelines on the Use of MRT/LRT Spaces for Musical Rendition for Visually Impaired Persons were developed. Director Zubiaga also reported the conduct of national consultation and summit on Disability Inclusive Disaster Risk and Reduction Management which led to the development of outcome documents on “Building Back Better” and “Inclusion of Disability in Post Yolanda Rehabilitation and Reconstruction”, copies of which were turned over to the NCDA Chairperson, Secretary Corazon Juliano Soliman. 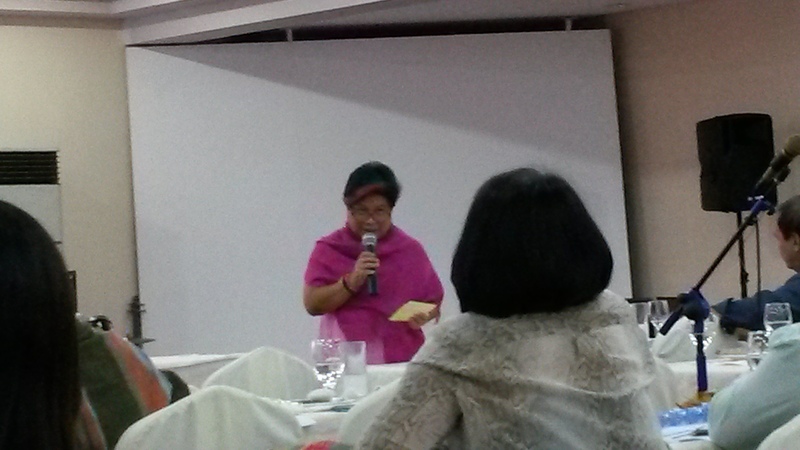 She stressed the need to make the DSWD Regional Offices’ disaster risk reduction and management disability inclusive. 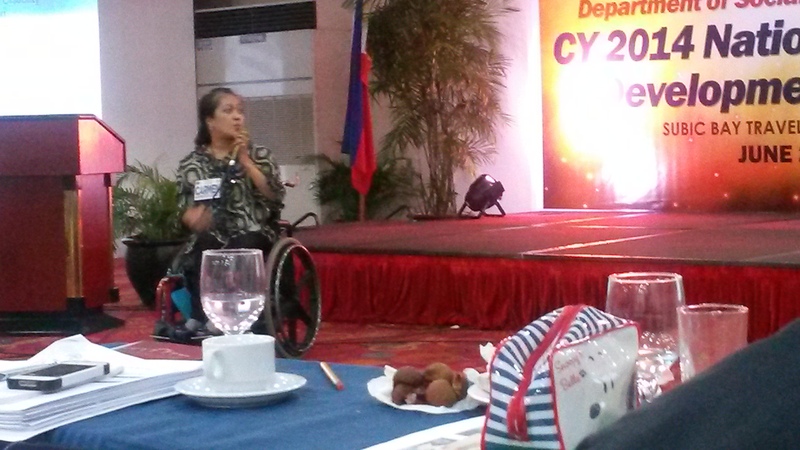 Director Zubiaga thanked Secretary Soliman and other DSWD Officials and Regional Directors for promoting disability inclusive programs and services as their commitment.